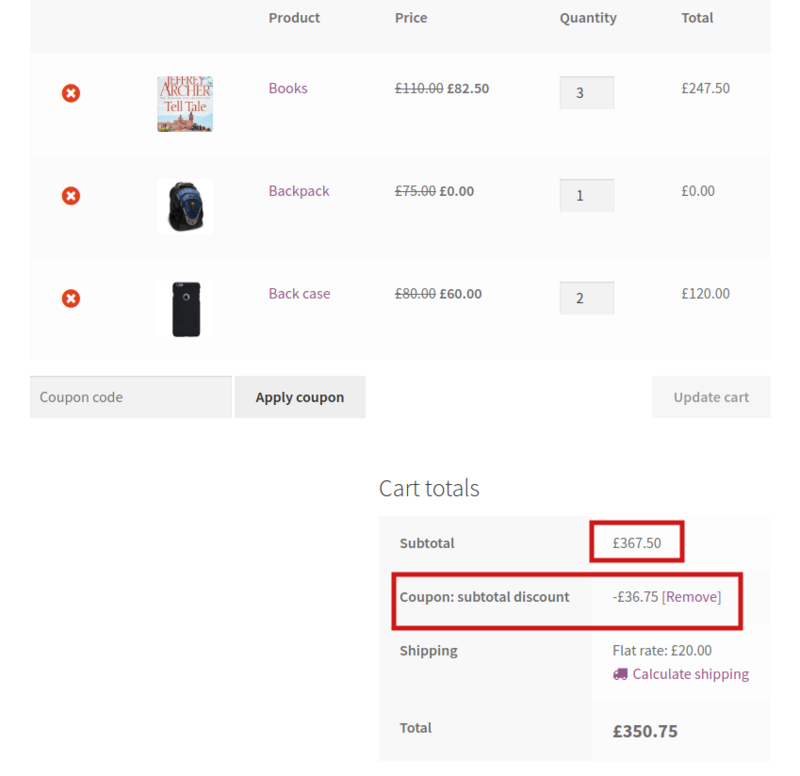 Reward the customers with a discount when they purchase more or when their cart subtotal crosses a certain level. 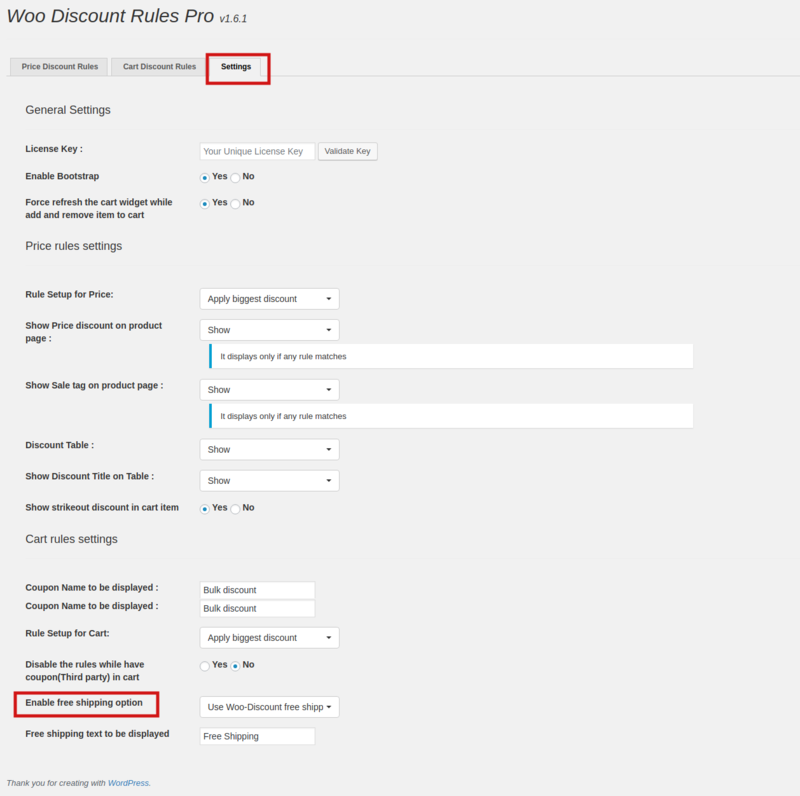 The easiest way to create a subtotal / order total based discounts in WooCommerce is to create a cart based discount rule. Specify the type that matches according to the requirements in the Condition Tab. For my example, Since it is a range, I have given two conditions.. Subtotal atleast and subtotal less than. 10% discount applied since the value is within the range of 300-1000. There are different condition types to choose. 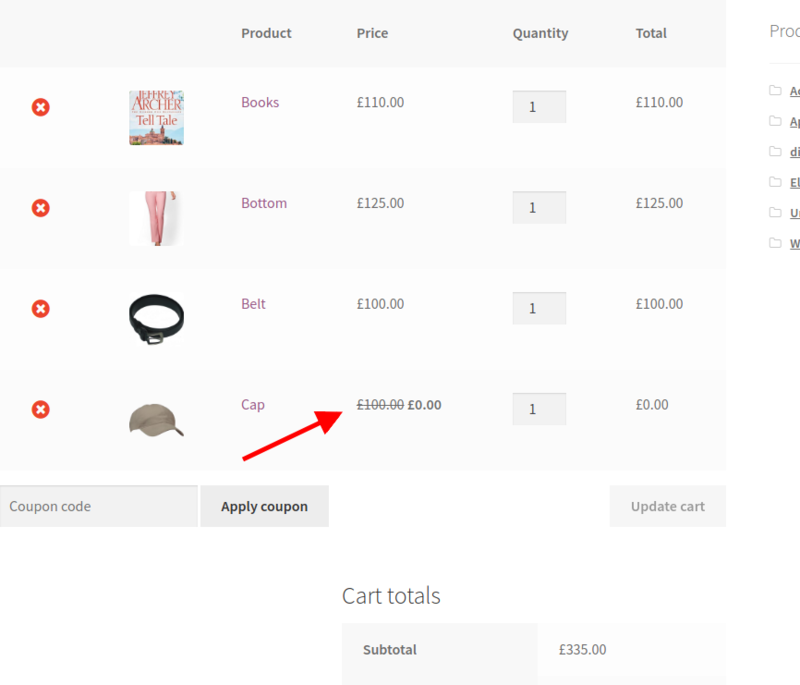 You want to enable free shipping to customers purchasing from particular city. Choose the type billing city and enter the city. 2. You want to enable free shipping to customers from particular state. Add two conditions. One for the country and the other one for the state. 4. 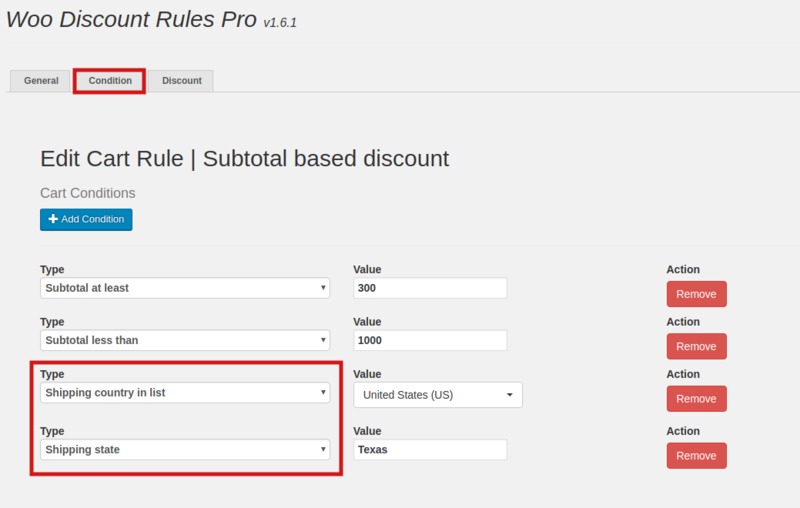 If Free Shipping is specified in the discount then make sure to enable Free shipping in the Settings Tab. 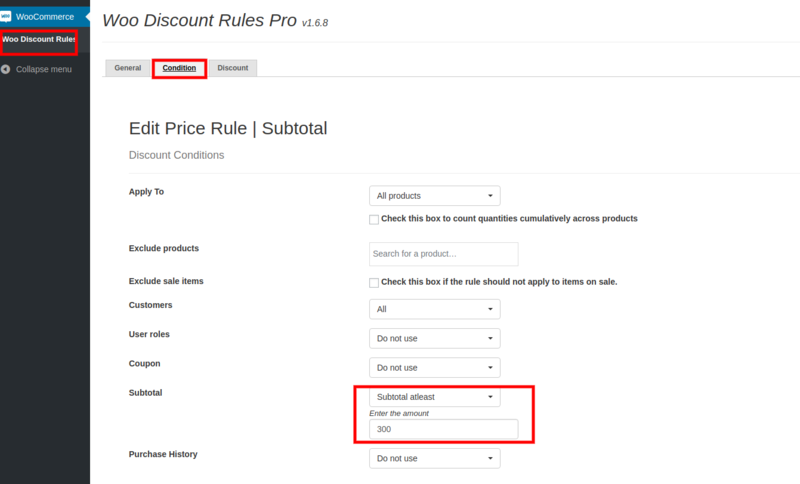 The difference in using Price based rule is that, you can only enter a value and not a range. 10% discount will be applied in the product if the subtotal value is at least 200. Attributes can be specified accordingly in the condition tab. 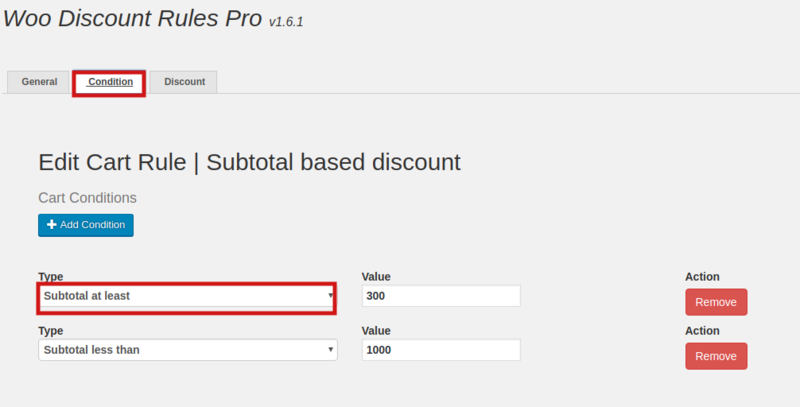 10% discount applied since the subtotal is greater than 200. 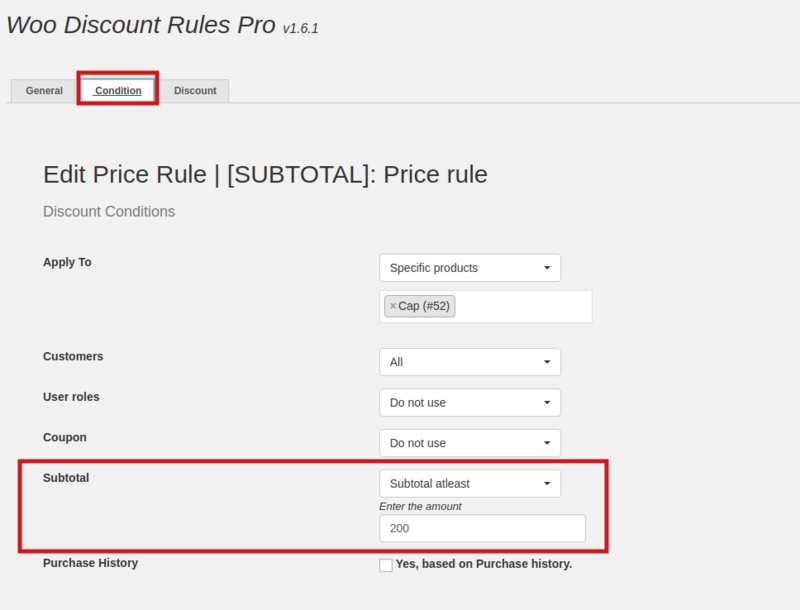 If the subtotal is $300 then product X is given as free. 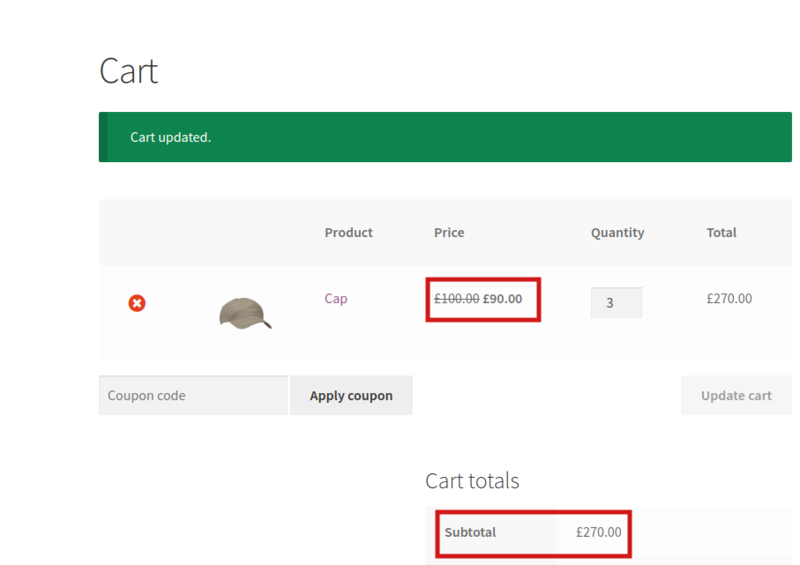 Specify the product and free quantity and set to "100% percent".